FSC Chain of Custody (CoC) certification effectively proves that the timber being used originates from sustainably managed forests, and a large number of wood products have been FSC CoC certified. 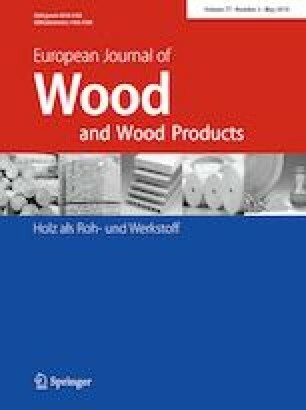 This paper examines the impacts of the application of FSC CoC certification on the international trade of wood products. The analysis is conducted using the Heckscher–Ohlin–Vanek model, where the number of FSC CoC certificates is used to describe the level of application, and is included as an explanatory variable for national net export of wood products. The results show that the application has had significant and positive impacts on the net export of sawnwood, particleboard, plywood, wood furniture and fibreboard, while it has had significant and negative impacts on the net export of roundwood. The present findings imply that more sawnwood, particleboard, plywood, wood furniture and fibreboard in the global market have been FSC CoC certified than roundwood and veneer sheet in meeting the demand for legal products. Therefore, it is necessary to encourage more companies to apply FSC CoC certification to roundwood and veneer sheet.